NO WAITING - LET'S GO RACING ! This work was first class by both these fillies on the morning. She heads into Randwick 5/12/18 to aim at the big 2yo races in the Autumn. Deep Field already has 2 individual 2yo winners ! 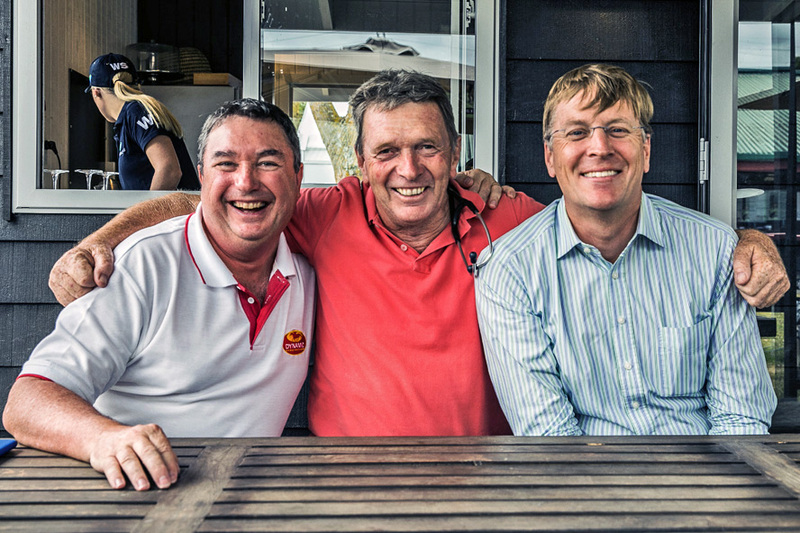 at Newgate, are amongst the most astute horsemen in the industry ! 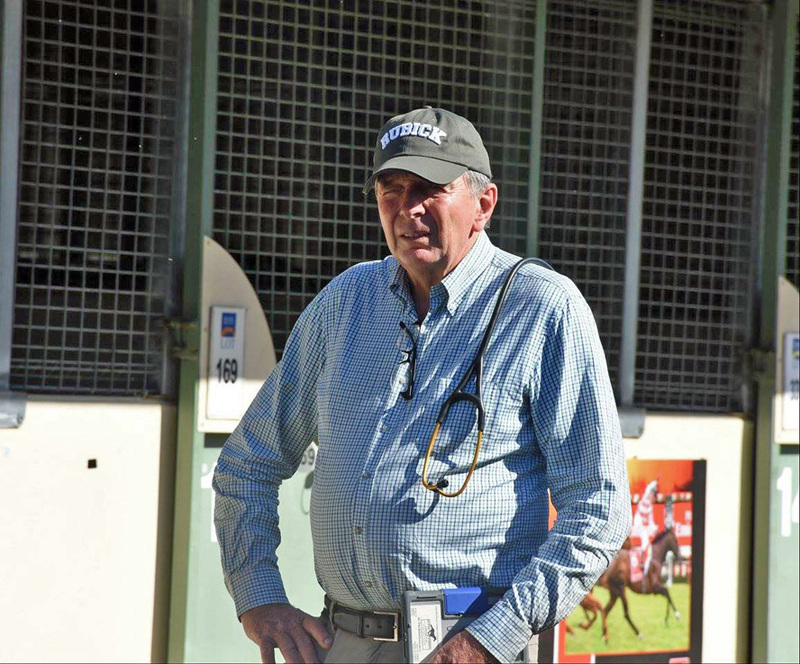 For the NEWGATE FARM supremo to buy into this filly on behalf of NEWGATE FARM & Partners say's a lot about the horse as an individual. 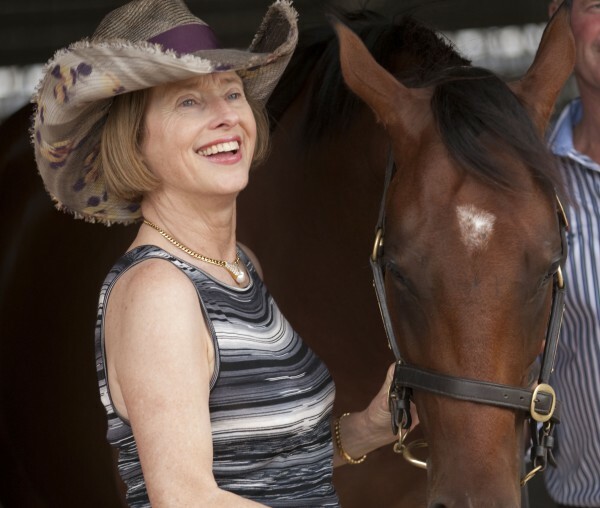 With the hundreds of horses they breed and raise on their farm each year - for this filly to capture the bosses imagination enough that Henry, on behalf of NEWGATE, bought into her to race with us, speaks volumes about the filly. 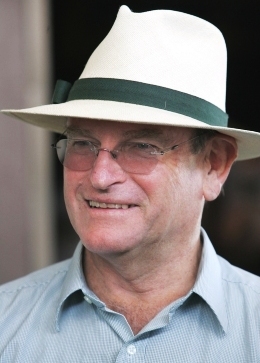 Newgate Farm stand the sire DEEP FIELD and Henry believed this filly was "a perfect example of the high quality yearlings the sire is producing and the mare comes from a fantastic female family and the breeding cross works so well." 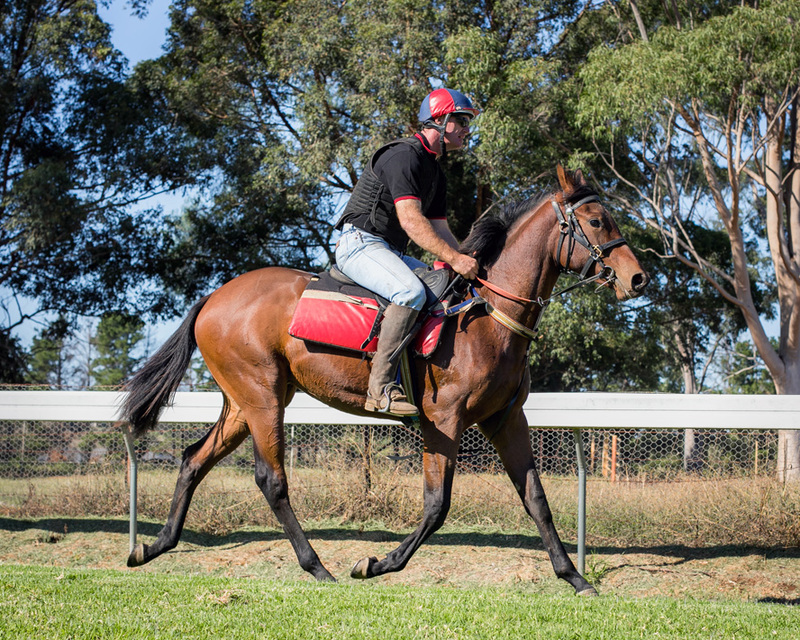 Deep Field x Princess Marizza filly from Dynamic Syndications on Vimeo. Deep Field x Princess Marizza from Dynamic Syndications on Vimeo. Dr Tim Roberts - Deep Field x Princess Marizza Filly from Dynamic Syndications on Vimeo. 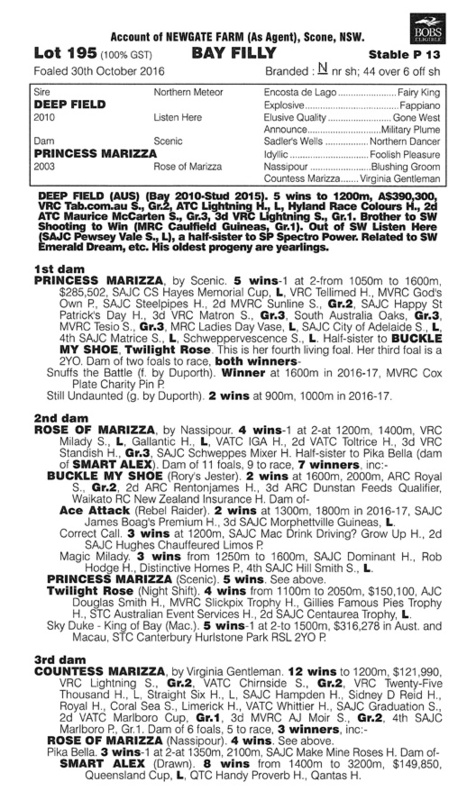 Lot 195 - Deep Field x Princess Marizza from Dynamic Syndications on Vimeo. 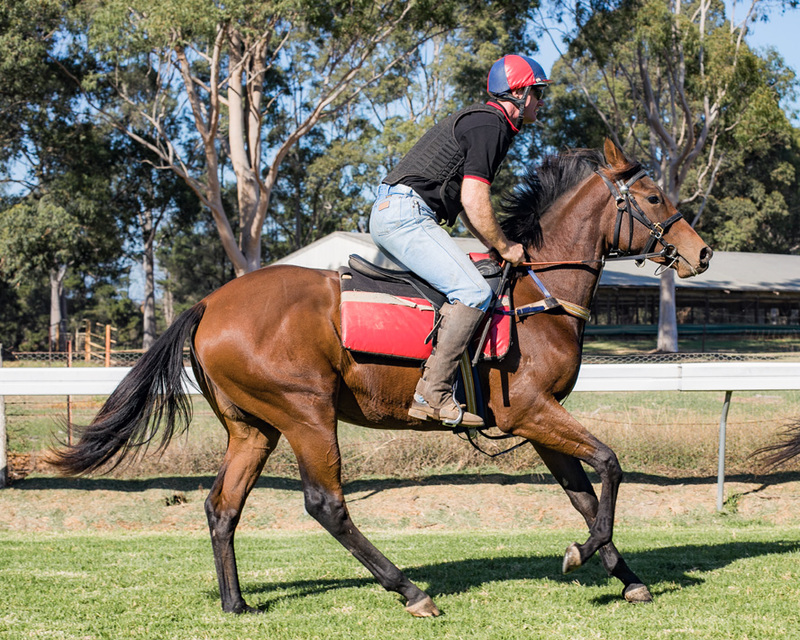 Deep Field x Princess Marizza Oakridge Farm from Dynamic Syndications on Vimeo. upon her eventual Racetrack Retirement. 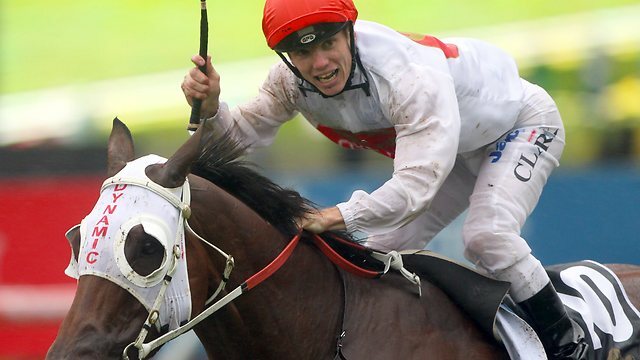 Stakes Performed 9 times from 1200m-2500m! 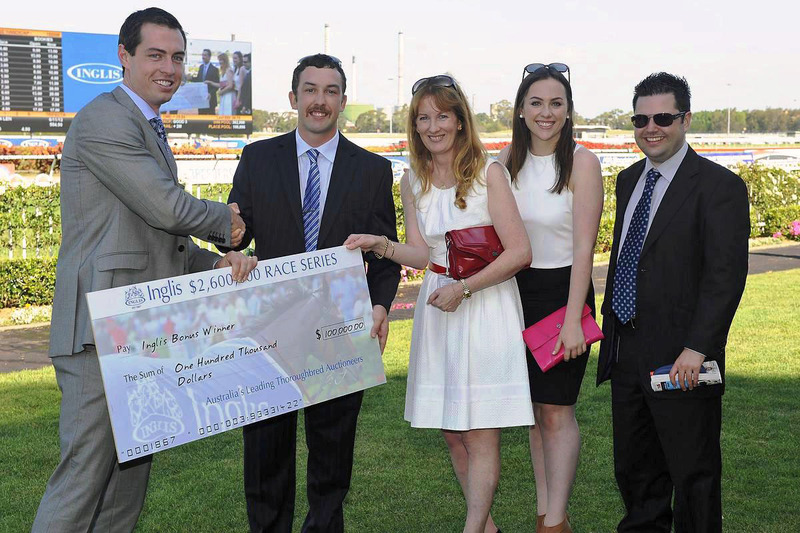 was a Dual Stakes Winner & Gr3 Placed! 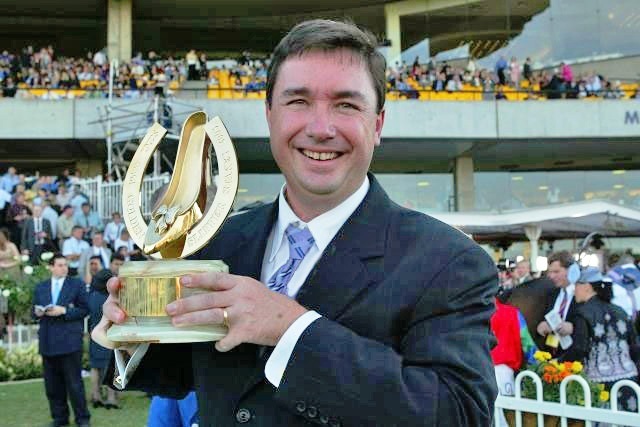 was a Dual Gr2 Winner & Gr1 Placed! * She's a natural SPEED MACHINE! * The way she broken-in we couldn't be happier! Look how she has strengthened & matured in just 5 months ! 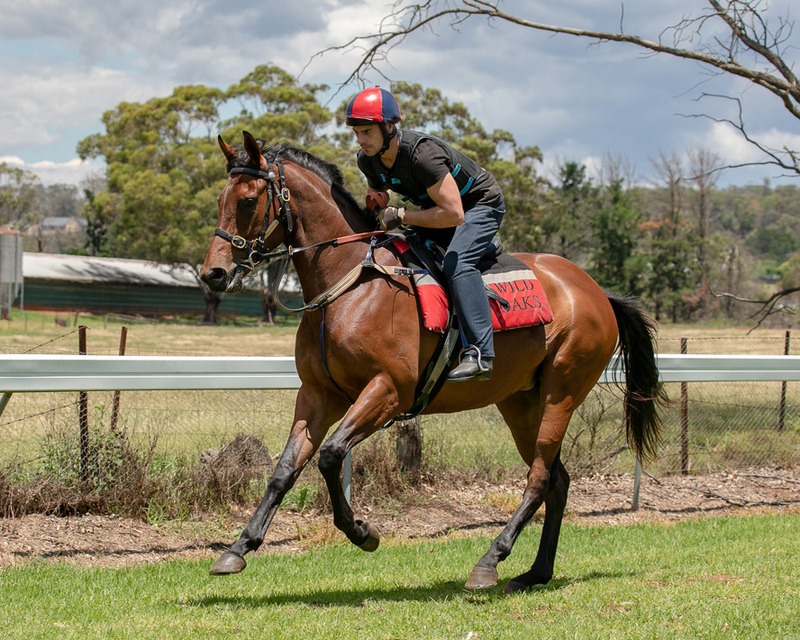 Our FILLY with conformation and commercial (+ genetic) pedigree, has been specifically selected to target the Autumn Sprinting races as a 2YO and Spring 3YO. 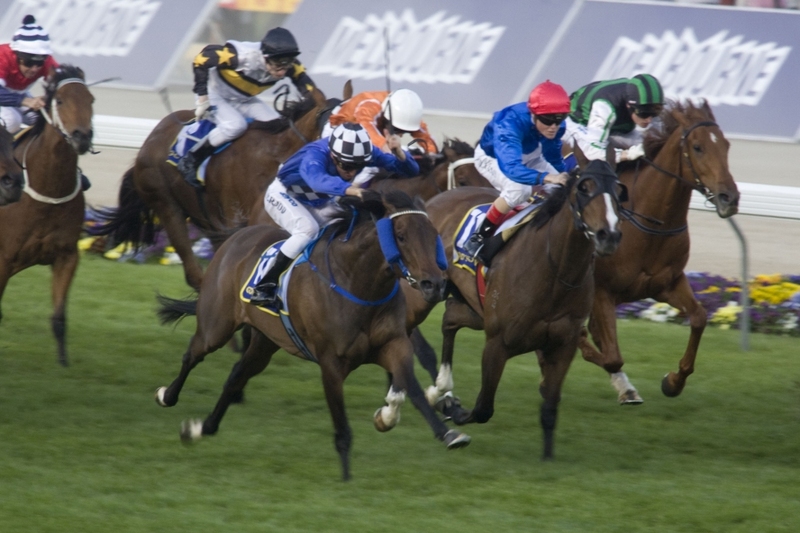 The races of significance and importance that all racing enthusiasts desire winning. Sprint racing can be a lucky-dip sometimes however to win these races is no fluke, you must have the horse that meets the necessary criteria. 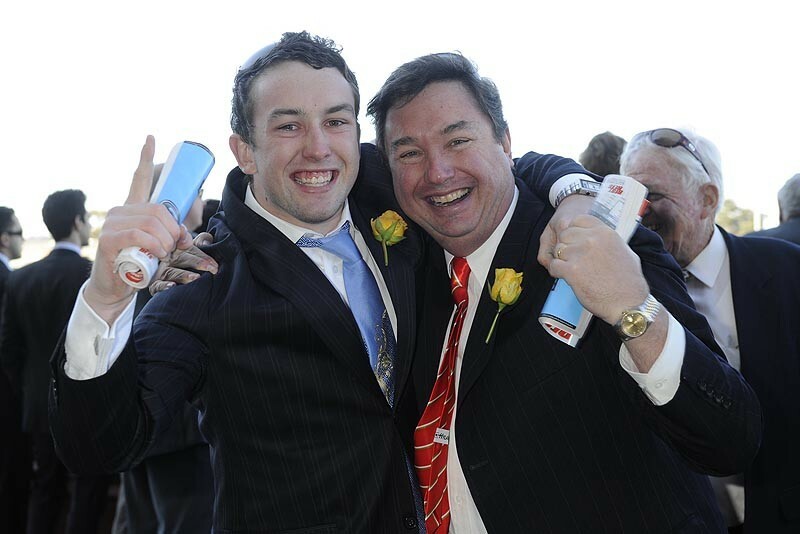 from my Randwick and Flemington stables." 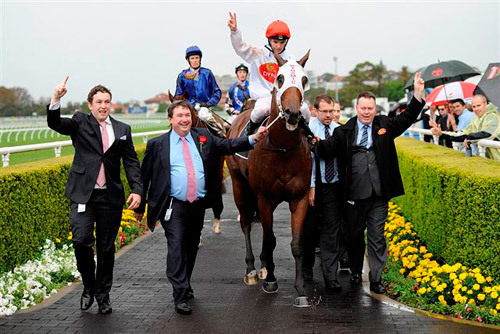 Join the Dynamic Gai Waterhouse Team"
From the powerful stallion making family of Commands and Danewin, explosive sprinter Deep Field is the ultra-good looking son of his ill-fated super sire Northern Meteor. 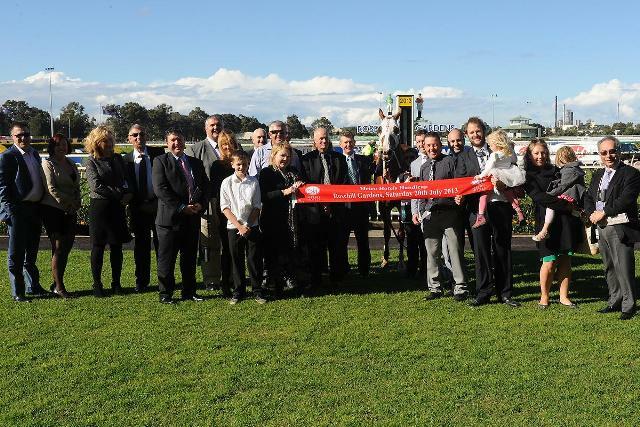 Deep Field stood his first season at Newgate Farm in 2015. A horse with amazing presence and a powerful sprinters physique, Deep Field was an electric sprinter that won his first five starts in succession by a combined total of 24 lengths. 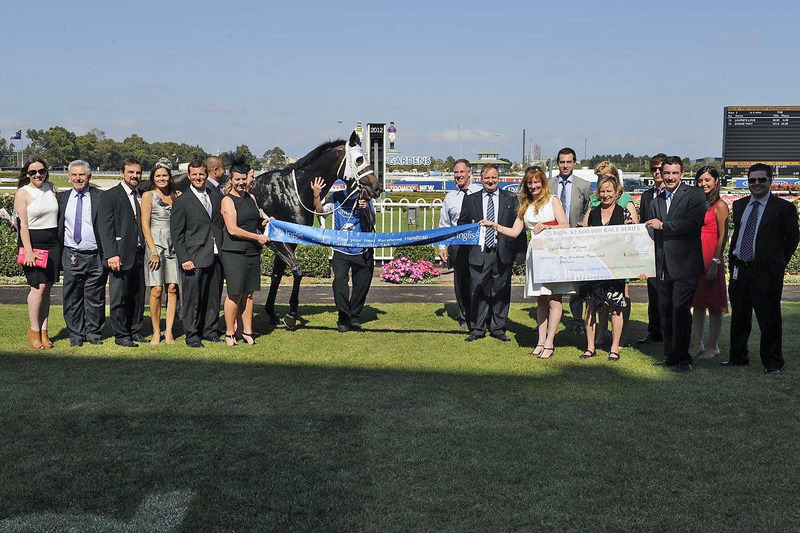 Deep Field, a Group 2 winning Group 1 placed sprinter attracted great attention as a racehorse when he broke records at Randwick and Canterbury. 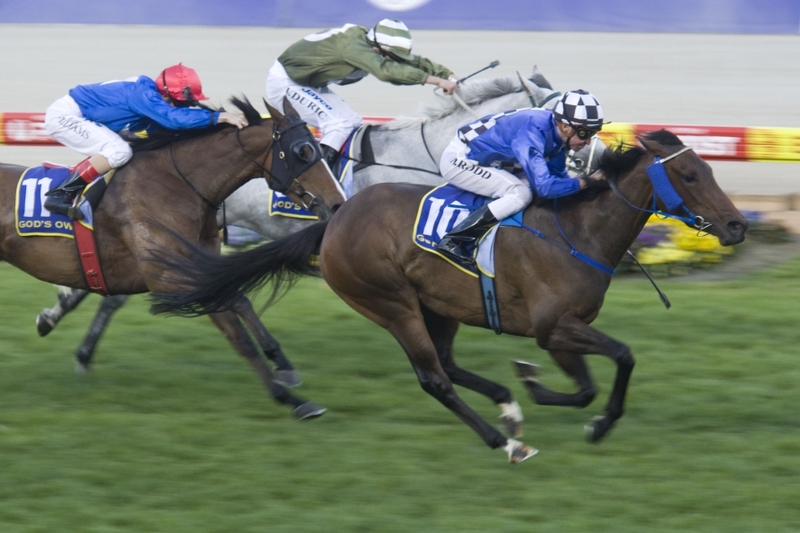 Among those first five wins was his record breaking gallop at Canterbury where he carved out the 1100 metres in 1:03.04 to set a new course record at just his third race start. With speed to burn from the gate, everything about Deep Field’s pattern of racing and level of natural ability was reminiscent of his sire Northern Meteor, who was also retired after a brief career of just nine starts. 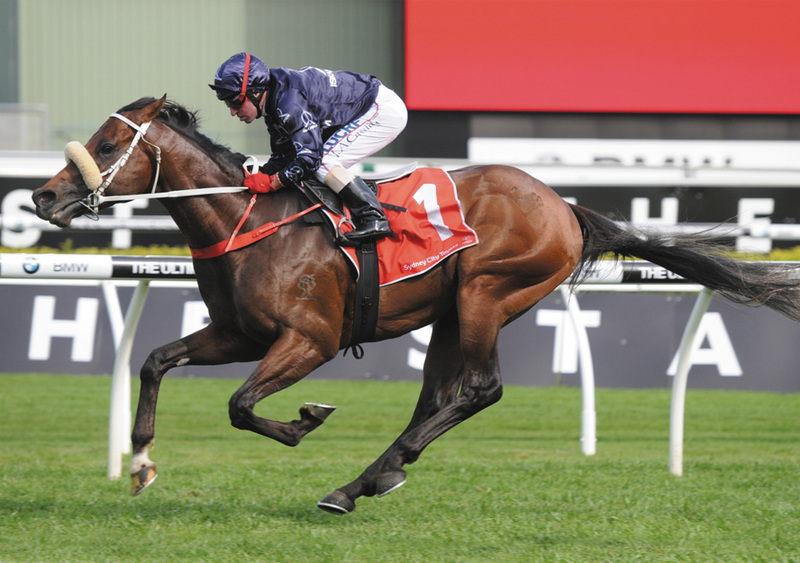 Northern Meteor, died prematurely in July 2013, having served just two seasons with his first crop producing Group One winner Zoustar who is Champion first crop sire of 2017/18. With Zoustar off to a flying start to his stud career, the future looks bright for the sons of Northern Meteor. 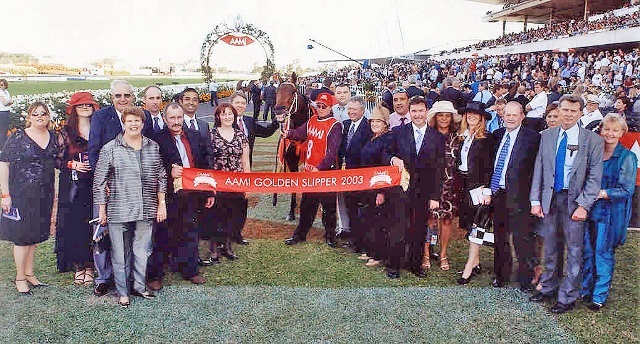 To kick off his career at stud, Deep Field was priced competitively at a service fee of only $22,000 and he was rushed by breeders who sent an astonishing 257 mares in his first season and backed it up, to see him cover 204 in his second season in 2016 whilst in his third season in 2017, he covered 156 mares. 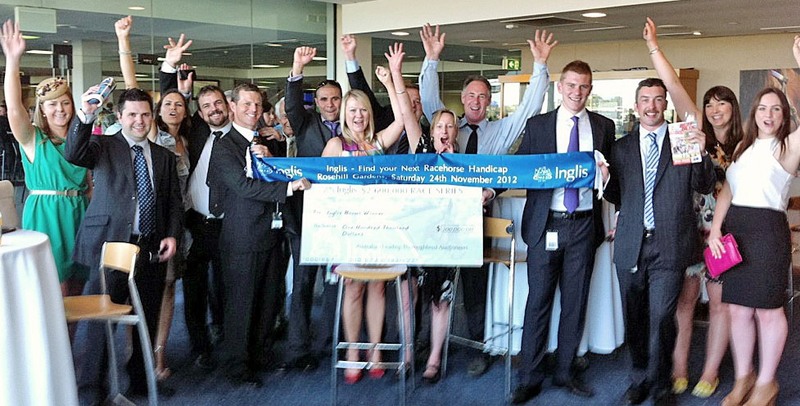 The professional yearling buyers shared the same enthusiasm for the hulking sprinter as Newgate Farm and breeders. 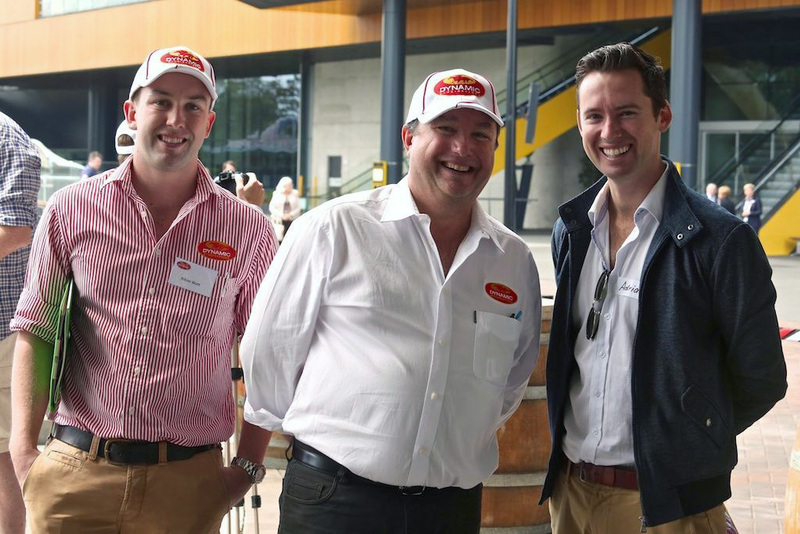 Newgate Farm’s exciting young sire finished the Magic Millions Book One as the leading first season sire by both averages and aggregate when 39 yearlings averaged $219,238 with an aggregate of $8,550,000 with his fillies averaging $180,000. 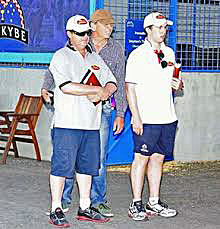 Deep Field had more yearlings catalogued for this sale than any other sire and finished fourth on the leading sire by aggregate list only behind the big gun sires I Am Invincible, Snitzel and Fastnet Rock. 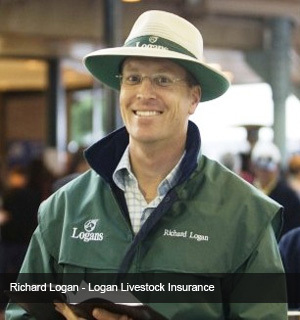 First yearlings made up to $675,000; over 33 x his service fee. 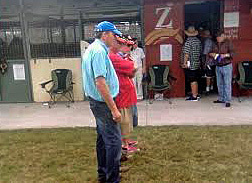 His fillies sold up to $650,000. 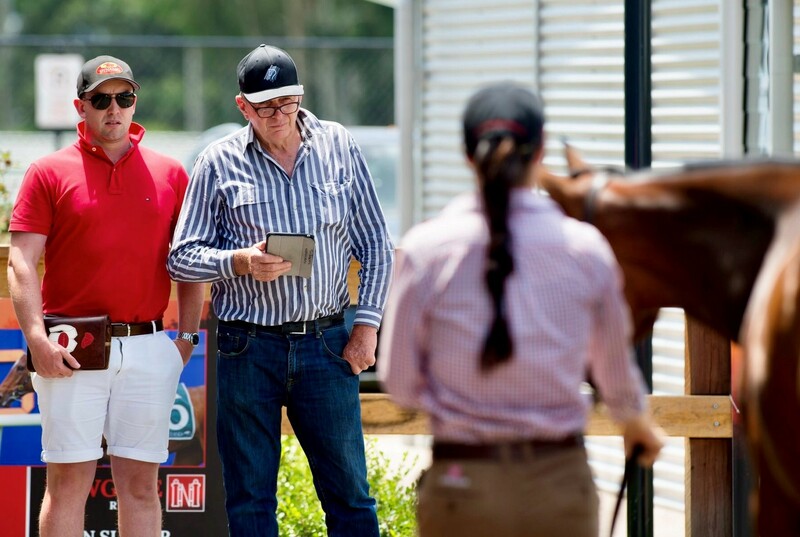 At the Inglis Australian Easter Yearling Sale, he had 8 yearlings sell for an average of $295,000 and an aggregate of $2,360,000 with his fillies averaging $240,000. 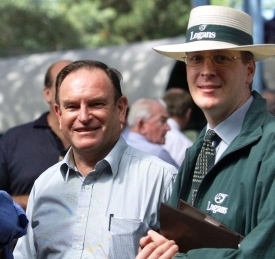 Deep Field was a great addition to the Newgate Farm roster in the eyes of their Managing Director Henry Field. 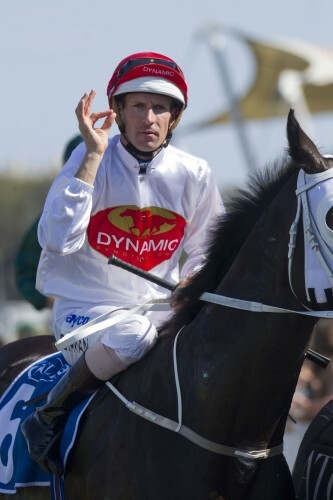 "When a horse like Deep Field comes along and shows the highly desirable attributes of brilliant record-breaking speed, good temperament and physical type to match his impressive pedigree, he has to be a massive chance to follow in the footsteps of his sire Northern Meteor," Henry said. 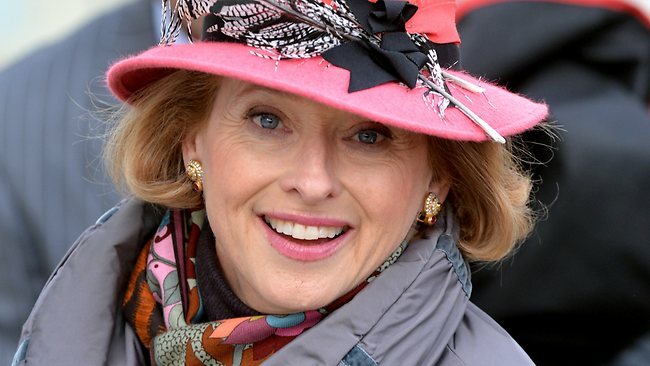 Raced 20 times (56% of her career starts) in Stakes Races ! 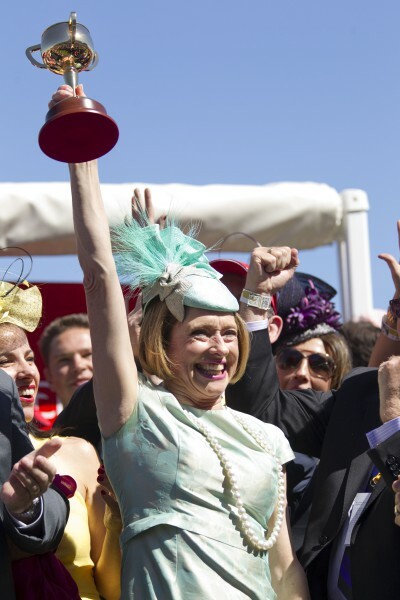 PRINCESS MARIZZA Earned Black-Type in 9 races ! Princess Marizza was a high class racemare and now doing a good job (2 for 2) at stud. 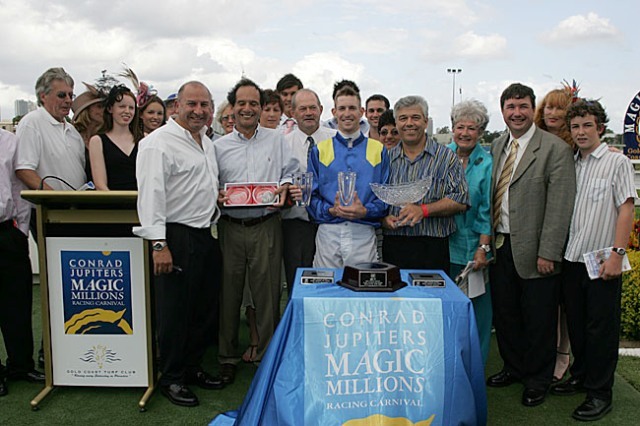 Rose of Marizza won four races and over $82,000. 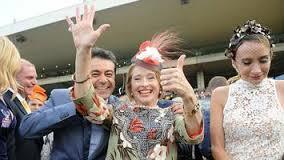 Her 2 feature listed race wins came at Flemington in the Gallantic Handicap LR and the Milady Stakes LR. 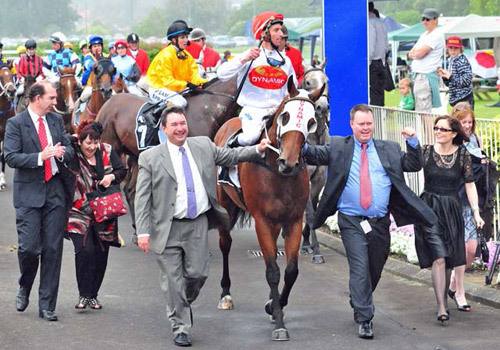 Rose of Marizza as a broodmare, has proven to be a great success story. 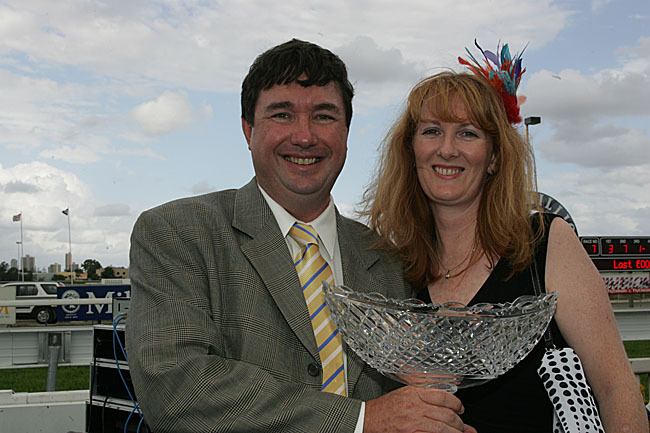 Her 7 winners include 3 stakes performers. 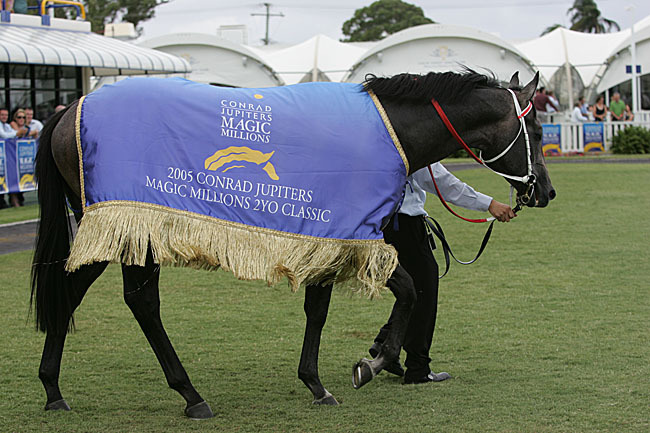 As well as Princess Marizza, she is the dam of New Zealand Group 2 winner Buckle My Shoe (by Rory's Jester) and Adelaide stakes performer and four time winner Twilight Rose (by Night Shift). Rose of Marizza, by Nassipour (a top staying sire), who is from the stakes winning mare Countess Marizza (by Virginia Gentleman). 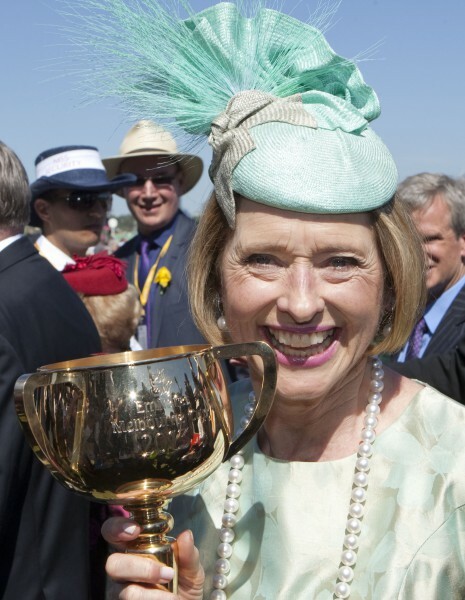 Countess Marizza was a winner of 12 races including 3 stakes races at Flemington including the Lightning Stakes and the Group 2 Chirnside Stakes. 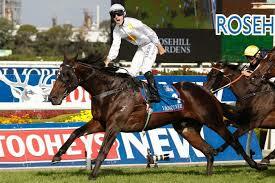 Another member of a black type filled family is former champion galloper and successful sire Durbridge. His dam Ancona is a half-sister to Princess Marizza's third dam, Dream Princess. PRINCESS MARIZZA (f by Scenic (Ire)). 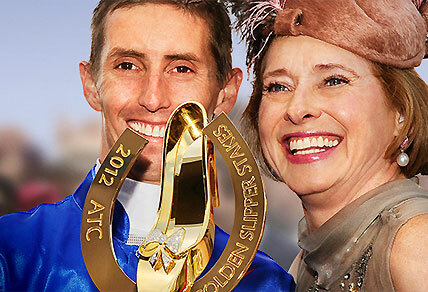 5 wins-1 at 2-from 1050m to 1600m, A$285,502, SAJC CS Hayes Memorial Cup, L, MVRC God's Own P., VRC Tellimed H., SAJC Steelpipes H., 2d MVRC Sunline S., Gr.2, SAJC Happy St Patrick's Day H., 3d South Australia Oaks, Gr.3, MVRC Tesio S., Gr.3, VRC Matron S., Gr.3, MRC Ladies Day Vase, L, SAJC City of Adelaide S., L, Come to Allan Scott Park Morphettville H., 4th SAJC Schweppervescence S., L, Matrice S., L.
Dam of 2 foals to race, 2 winners. ROSE OF MARIZZA by Nassipour (USA). 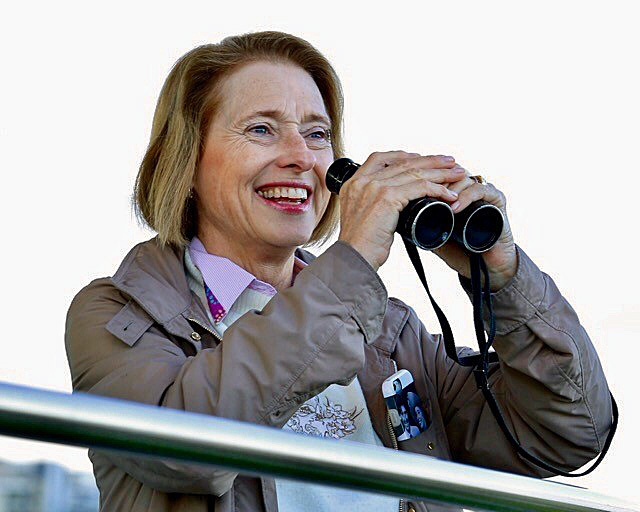 4 wins-1 at 2-at 1200m, 1400m, A$82,650, VRC Milady S., L, Gallantic H., L, VATC IGA H., 2d VATC Toltrice H., 3d VRC Standish H., Gr.3, SAJC Schweppes Mixer H., VATC Gladsome H.
Dam of 7 foals to race, 7 winners. COUNTESS MARIZZA, by Virginia Gentleman (GB). 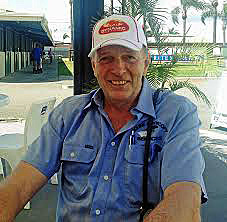 12 wins to 1200m, A$121,990, VATC Chirnside S., Gr.2, VRC Lightning S., Gr.2, Twenty-Five Thousand H., Straight Six H., SAJC Hampden H., Sidney D Reid H., Royal H., Coral Sea S., Limerick H., VATC Whittier H., SAJC Graduation S., 2d VATC Marlboro Cup, Gr.1, 3d MVRC AJ Moir S., Gr.2, 4th SAJC Marlboro P.
Dam of 5 foals to race, 3 winners. DREAM PRINCESS, by Matrice. Raced twice. Half-sister to Goldbridge, Arcona (dam of DURBRIDGE). 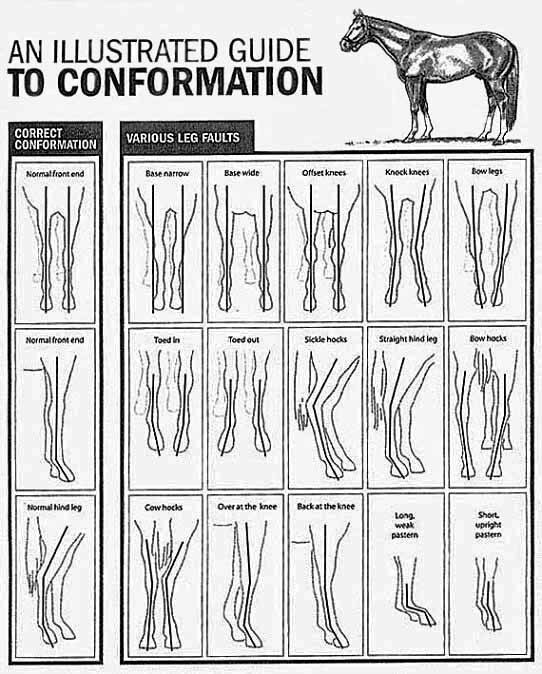 Dam of 4 foals to race, 3 winners. Snuffs the Battle. (f by Duporth). Winner at 1600m in 2016-17, MVRC Cox Plate Charity Pin P.
Still Undaunted. (g by Duporth). on pedigree was in the top echelon in the catalogue. Ongoing Costs from 1 OCTOBER 2018: Ongoing costs after 1 November, we advise owners to budget an average of $10.00 per day per 5% Share over 12 months ($3,660 per annum / $305 per month) which we estimate should cover most / all cost. after several physical inspections at the Sales Complex. 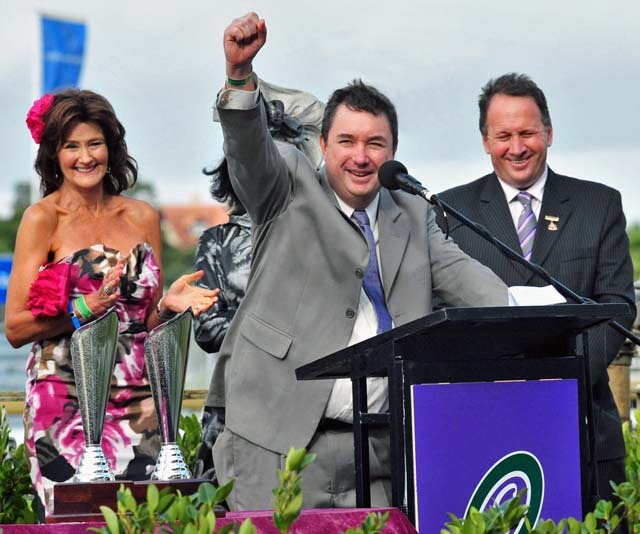 "She’s a high quality Filly with a terrific walk, excellent bone, clean legs and wonderful strength to her hind quarter. 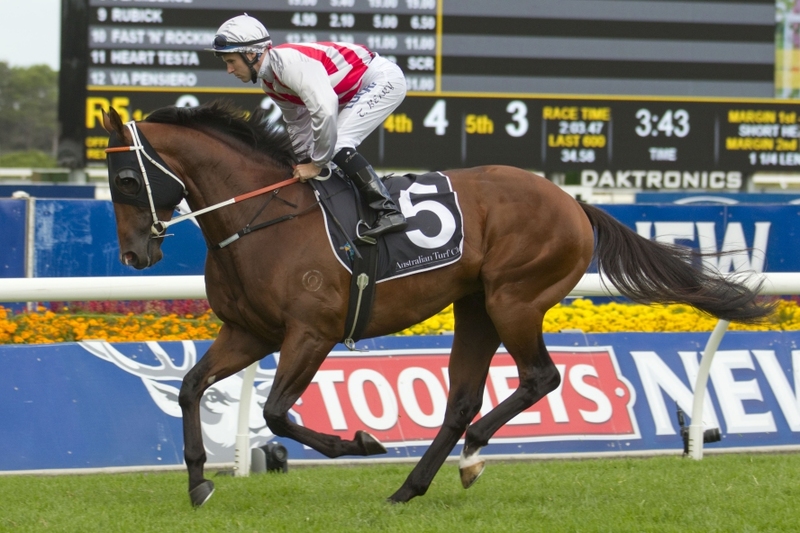 She has a tremendous deep girth, strong forearms and gaskins and appears to be the ideal horse to target the 2yo races with before she improves into her 3yo year. 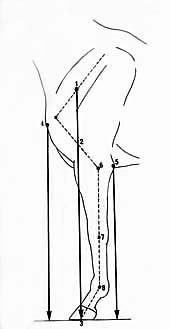 She presented in excellent condition, she was clinically very good, clean on scope and x-rays. 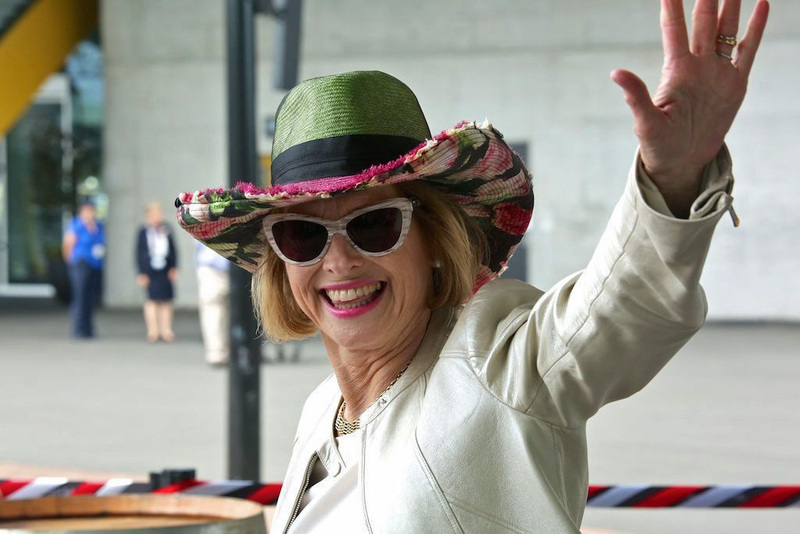 I thought she was a terrific buy." "She was special this girl ! 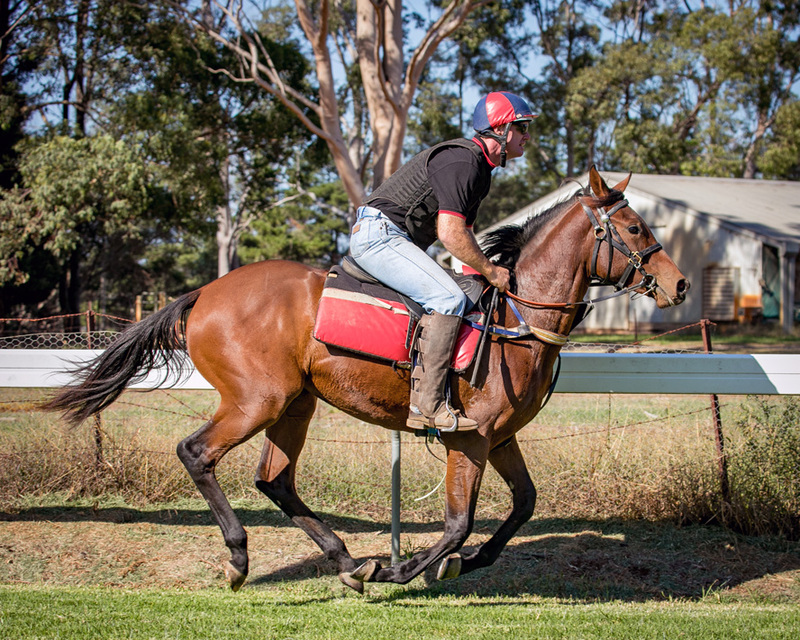 She was one of those fillies that immediately suggested that she should run as a 2yo, she’s a fantastic mover. 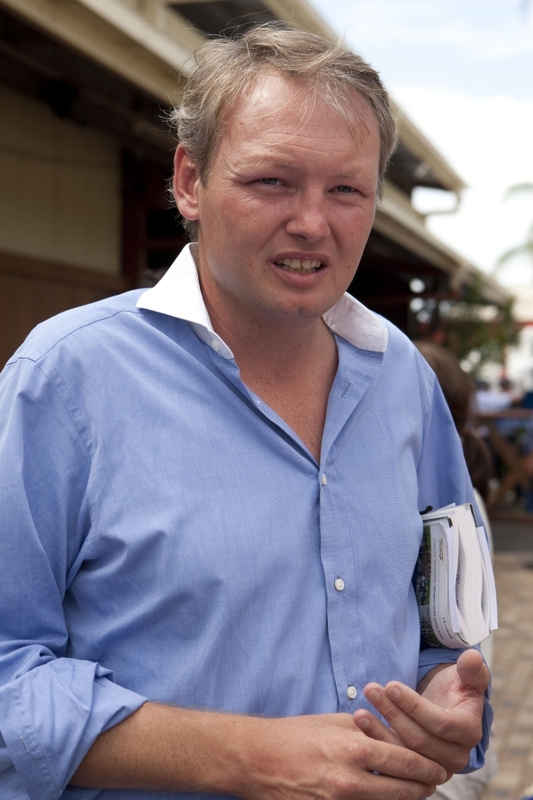 We were very keen on the Deep Field’s and I thought this Filly was the most athletic Filly I had seen by the Sire. As soon as I saw her for the first time I wrote down JBI = JUST BUY IT ! 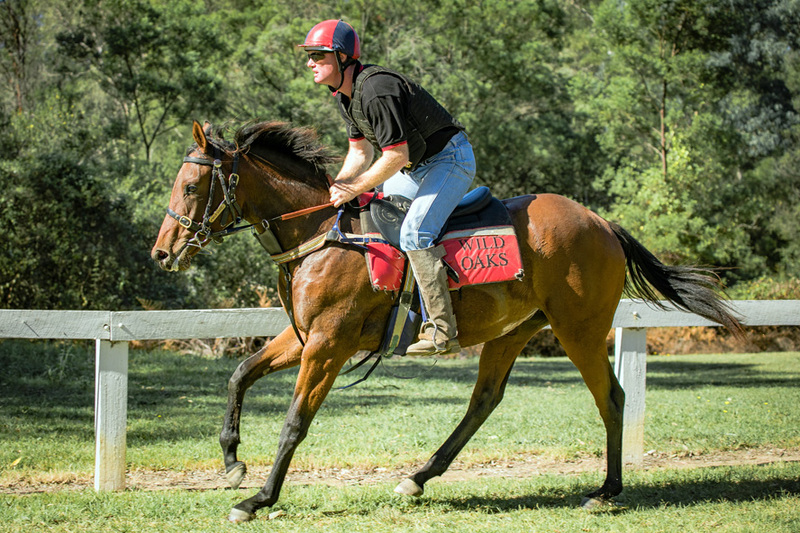 A wonderful filly raised at Newgate Farm, one of the Hunter Valleys best thoroughbred nurseries." 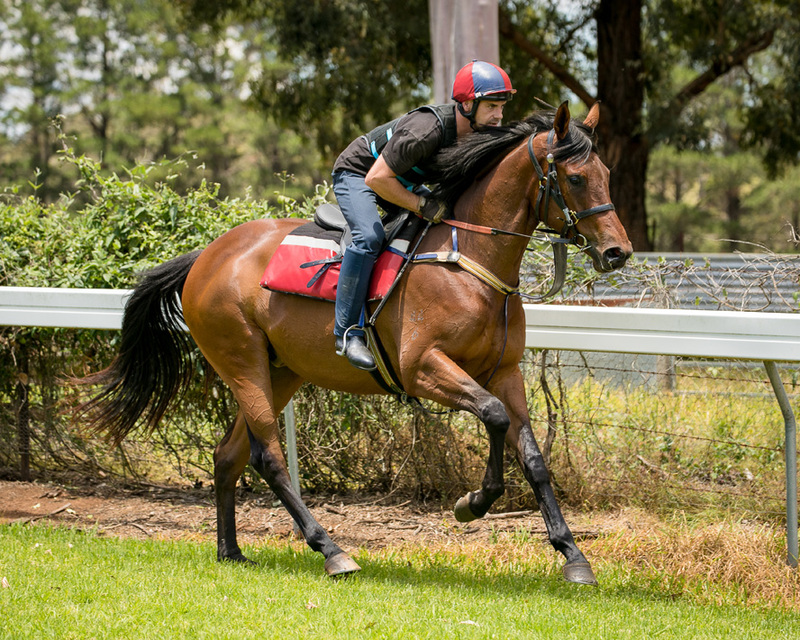 "This Filly by Deep Field from Stakes Winning mare Princes Marizza is very exciting. 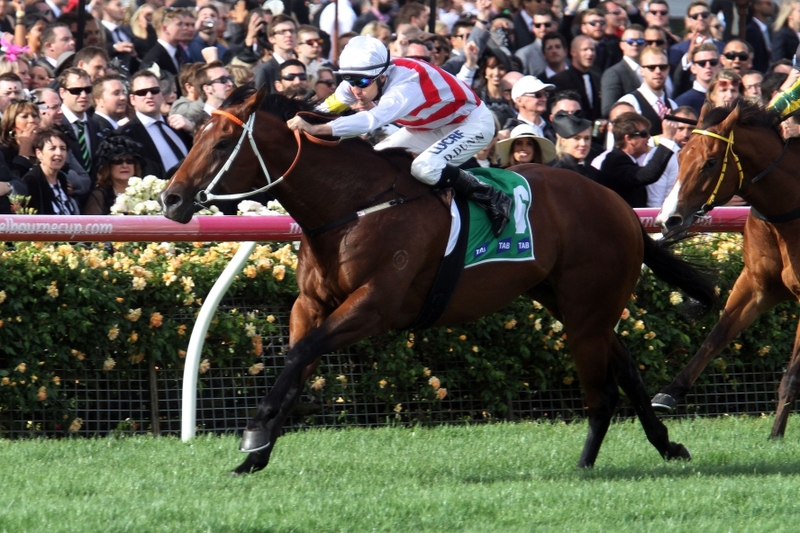 She comes from the great Newgate Farm and she is by a very exciting young Sire in Deep Field. I trained Northern Meteor and have had a lot of success with his progeny, so I am excited to get my hands on some high Quality Deep Field Yearlings. 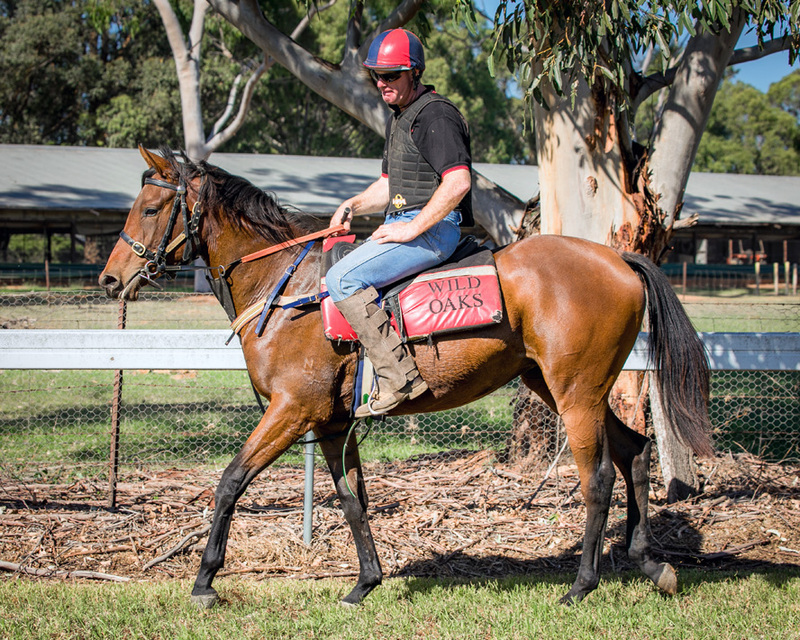 This Filly has great bone for bulk, a wonderful attitude and she is a must to be in !" 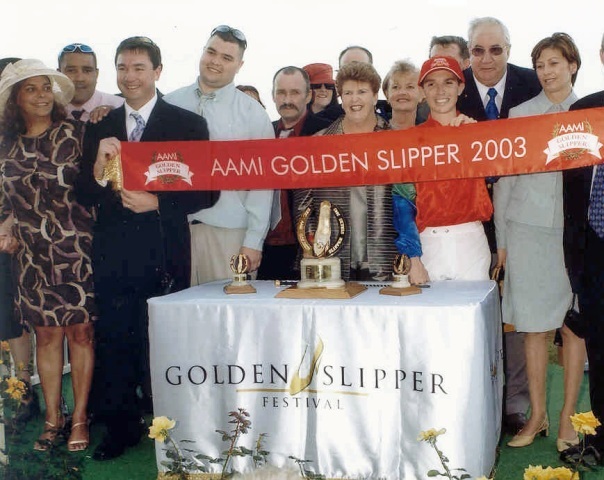 "LIVE THE DREAM ~ JOIN OUR TEAM"
(1) GOLDEN SLIPPER - WON IT ! 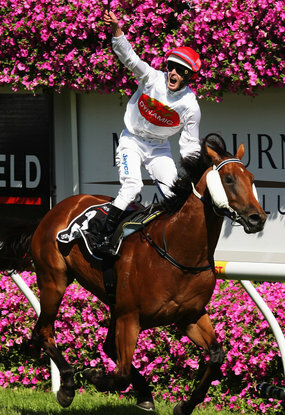 (2) MAGIC MILLIONS - WON IT ! 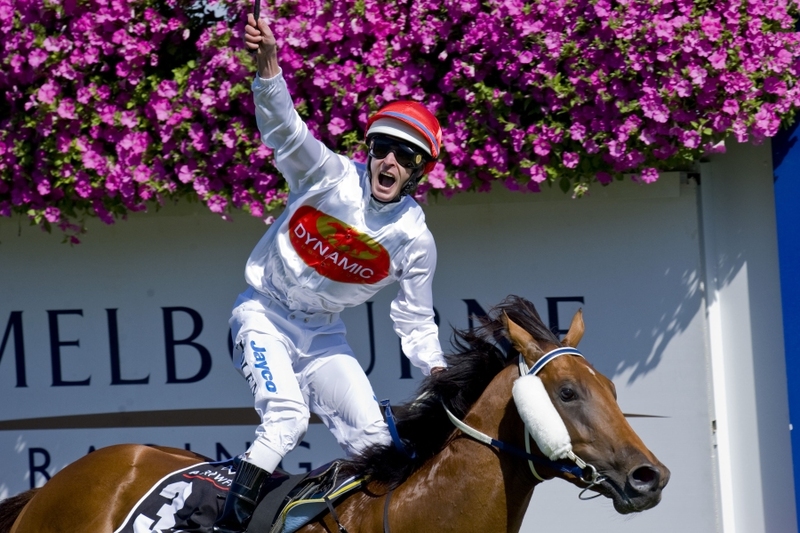 (3) BLUE DIAMOND - WON IT ! 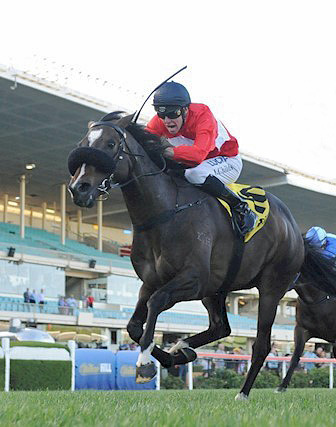 ​Astute equine investors have been contacting the Team at Dynamic Syndications aware of the quality this individual has and the conformation, size and scope that matches his brilliant pedigree. 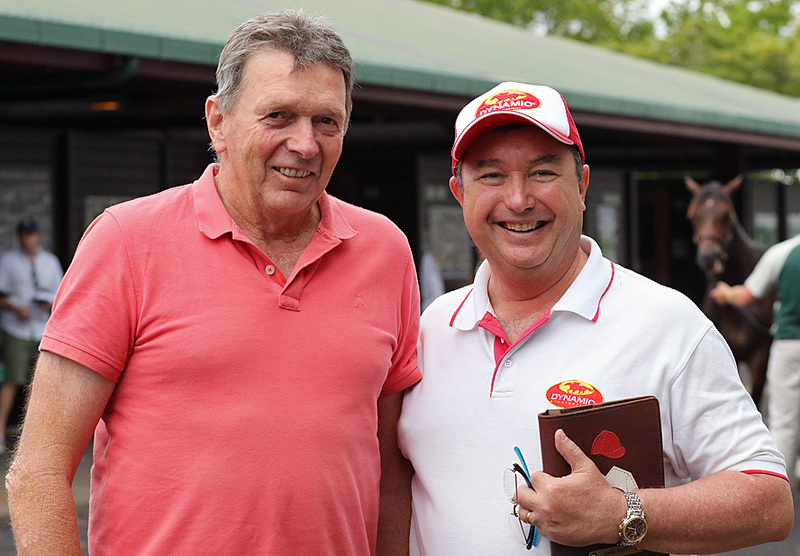 Hear from Adam Watt as he discusses the Deep Field x Princess Marizza filly. 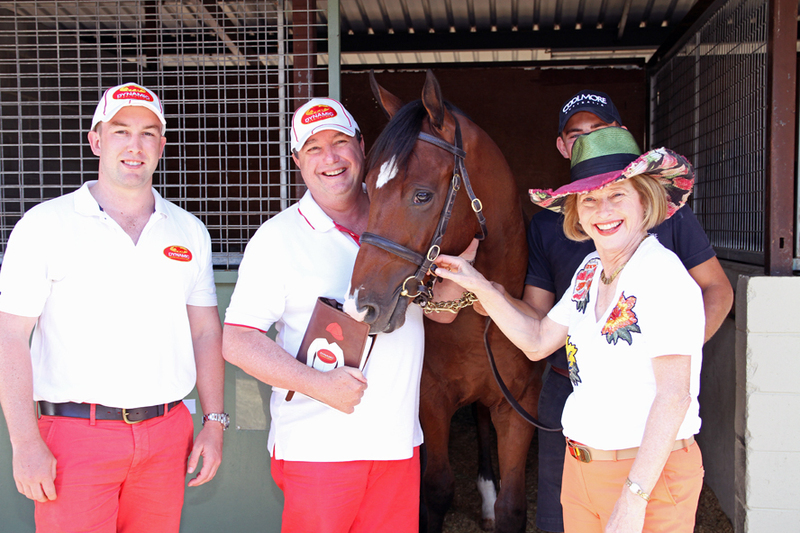 Deep Field x Princess Marizza filly - TV Commercial. 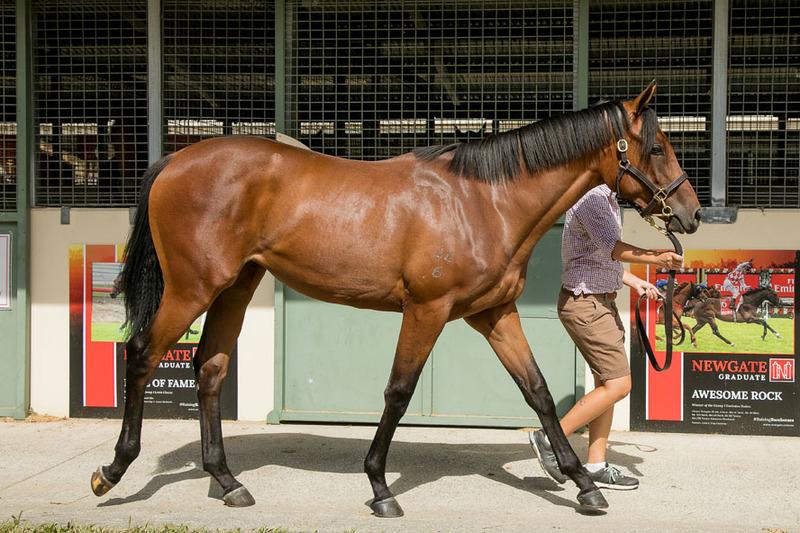 Video of the Magic Millions Auction Sale - Lot 195 Deep Field x Princess Marizza filly - SOLD to Dynamic Syndications. 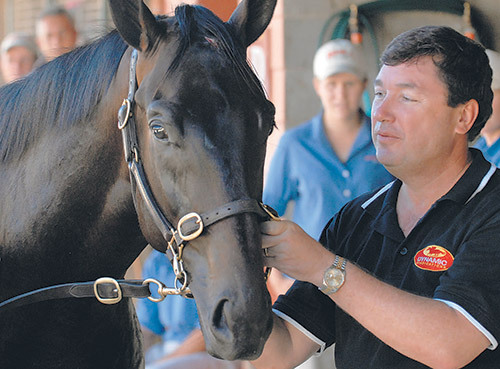 Video of veterinarian Dr Tim Roberts & Adam Watt discussing the filly. Video of our filly enjoying herself and running freely in the paddock. 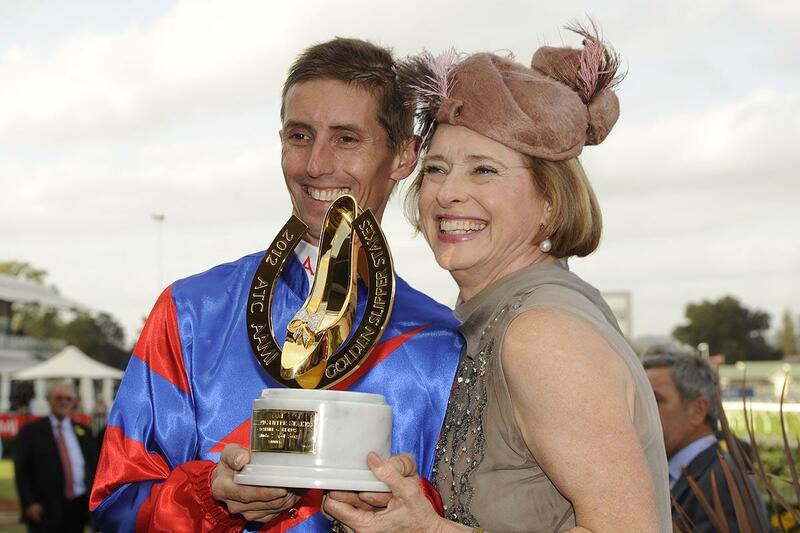 “I’d been chasing him since he broke his maiden by 10 lengths,” Henry added. 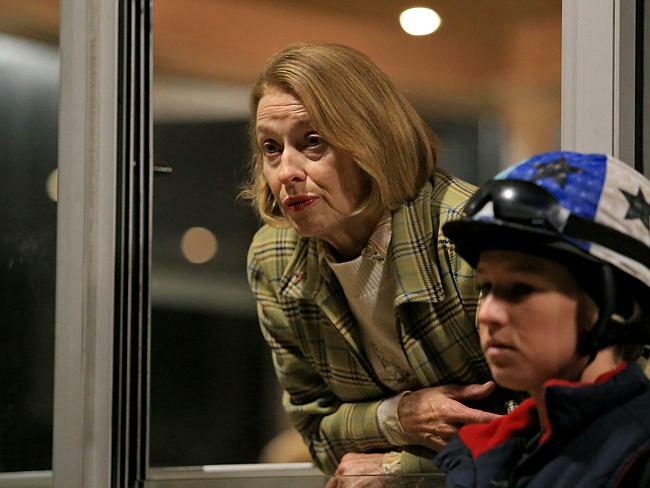 "She's not a bad horse this," Kavanagh said. "She tries hard. She didn't have a lot of luck." 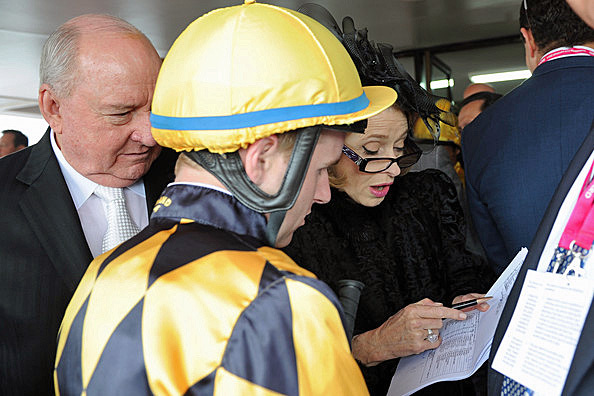 "She did run third in an Oaks and she did win first up." "I think she's pretty handy. 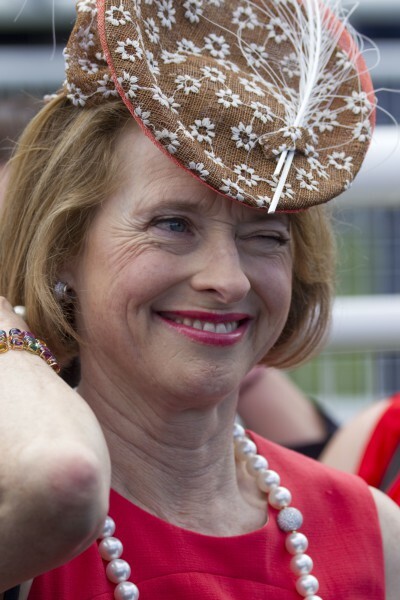 She's raced well against some top fillies." "She's really honest," he added. 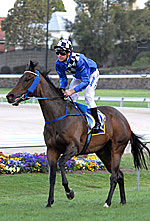 DURBRIDGE (c Durham Ranger (USA)) Head of The 1993-94 Australasian 4YO+ Classification. 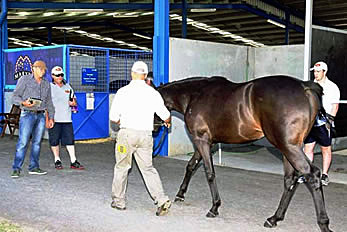 Joint top colt on The 1990-91 Australasian 3YO Classification. 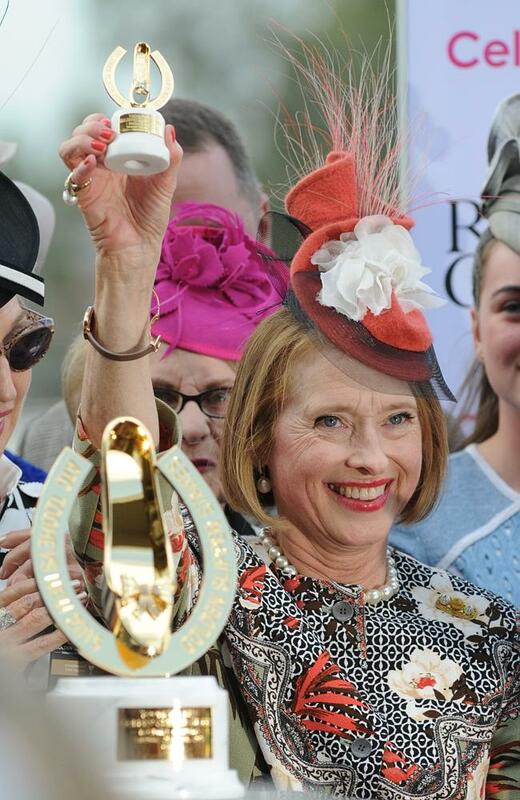 21 wins-2 at 2-from 1100m to 2400m, A$3,343,410, VRC Australian Cup, Gr.1, AJC Derby, Gr.1, BATC Doomben Cup, Gr.1, AJC George Main S., Gr.1, Queen Elizabeth Randwick S., Gr.1, VATC CF Orr S., Gr.1, MVRC Alister Clark S., Gr.2, STC Tulloch S., Gr.2, VATC Sandown Guineas, Gr.2, St George S., Gr.2-twice, VRC Craiglee S., Gr.2, Blamey S., Gr.2-twice, 2d AJC Queen Elizabeth Randwick S., Gr.1, MVRC Manikato S., Gr.1, SAJC Sires' Produce S., Gr.2, 3d VRC Australian Guineas, Gr.1. 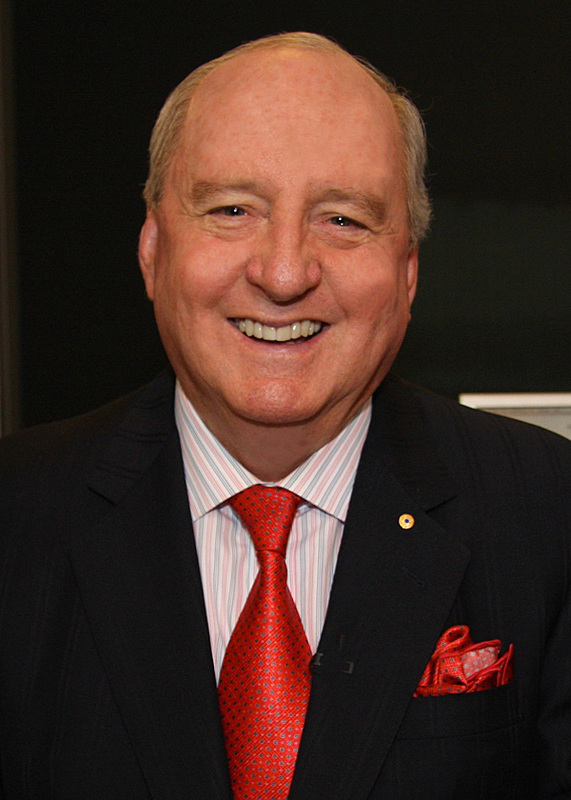 Sire. BUCKLE MY SHOE (f by Rory's Jester). 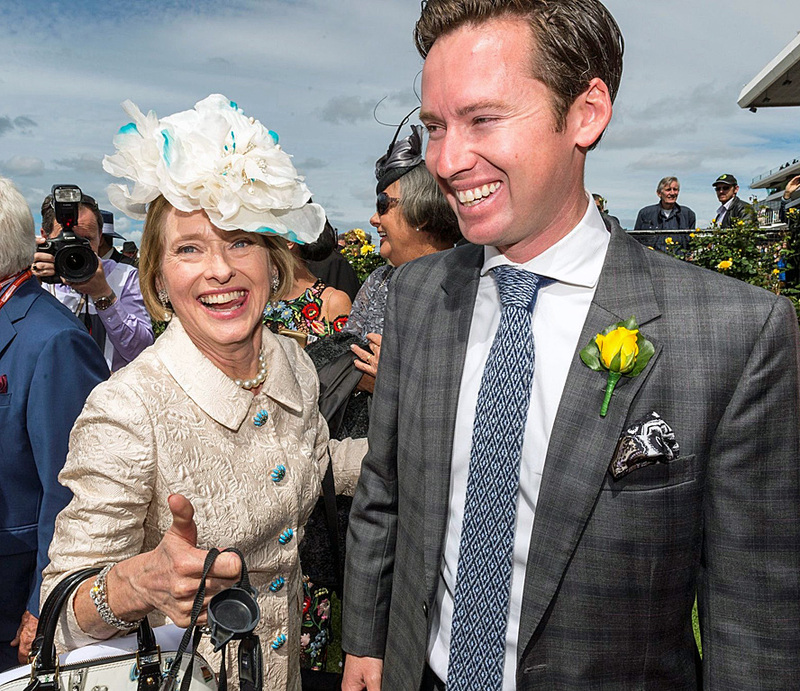 2 wins at 1600m, 2000m, NZ$85,475, ARC Royal S., Gr.2, 2d ARC Rentonjames H., 3d ARC Dunstan Feeds Qualifier, Waikato RC New Zealand Insurance H.
SMART ALEX (c Drawn) 8 wins from 1400m to 3200m, A$149,850, Queensland Cup, L, QTC Handy Proverb H., Qantas H., Windsor H., ESM-Global Network H., 2d QTC Galway H., 3d BATC Jacobs Creek Chardonnay H., QTC Athol Mulley H., Queensland H., Our Planet H.
Goldbridge (c Makarpura (GB)) 12 wins-2 at 2-to 1450m, Adelaide RC Wakefield Welter H., PARC Teenager H., SAJC Summer Sprint, Pier H., Graduation S., Encourage H., 2d SAJC Bloodhorse Breeders' S.L, Adelaide Guineas L, Adelaide Town P., 3d PARC Derby Trial S.
Twilight Rose (f by Night Shift (USA)). 4 wins from 1100m to 2050m, A$150,100, AJC Douglas Smith H., MVRC Slickpix Trophy H., Gillies Famous Pies Trophy H., STC Australian Event Services H., 2d SAJC Centaurea Trophy, L, MRC Hedingham H., Bert Bryant H., NSW Tatt's RC Schweppes H., 3d MRC Noel Rundle H., MVRC Nichiyu Forklifts Walkers Vegies H., STC CVD Vice-President's H.
Ace Attack (g Rebel Raider) 2 wins at 1300m, 1800m, A$93,000, in 2016-17, SAJC James Boag's Premium H., 2d SAJC Happy 95th Noel McDermott H., 3d SAJC Morphettville Guineas, L, Holdfast Insurance 2YO H., Schweppes H., Top Note Vineyard H., Quayclean H.
This filly we considered a “MUST BUY” and a “STTL” (Straight To Tulloch Lodge). 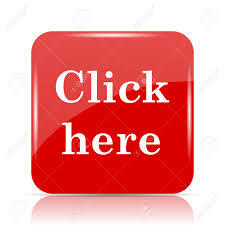 The individual matched the page – both commercially and genetically. To all of us she was a "GEM"
She made it to the top of our “Must Have” list. 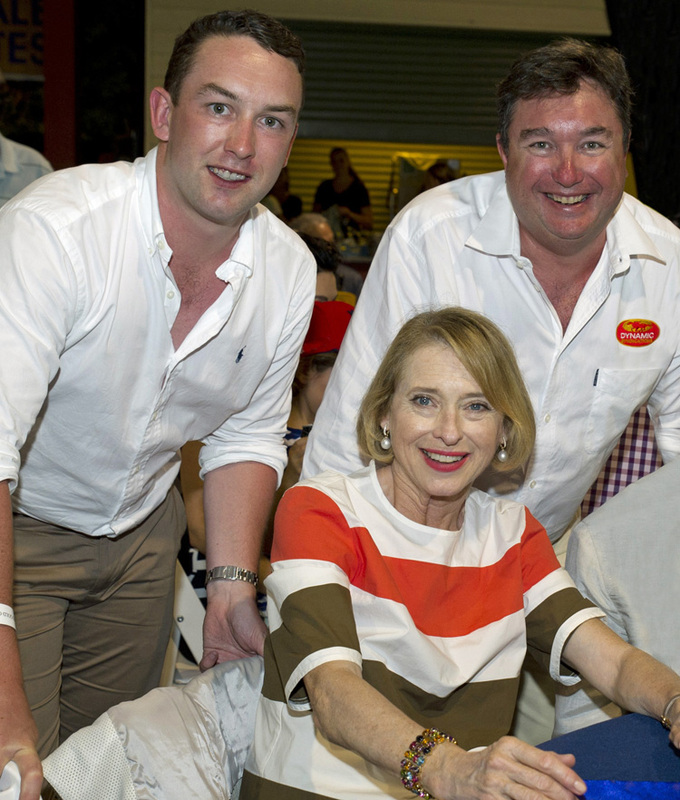 When she was knocked down Newgate Farm's Managing Director Henry Field came over to congratulate us for buying the filly and commented that they expected her to sell for a much higher price. Henry then added he thought she was one of the best DEEP FIELD yearlings at the sales and as she was so well bred and such a nice type they would like to buy a 10% share in her. 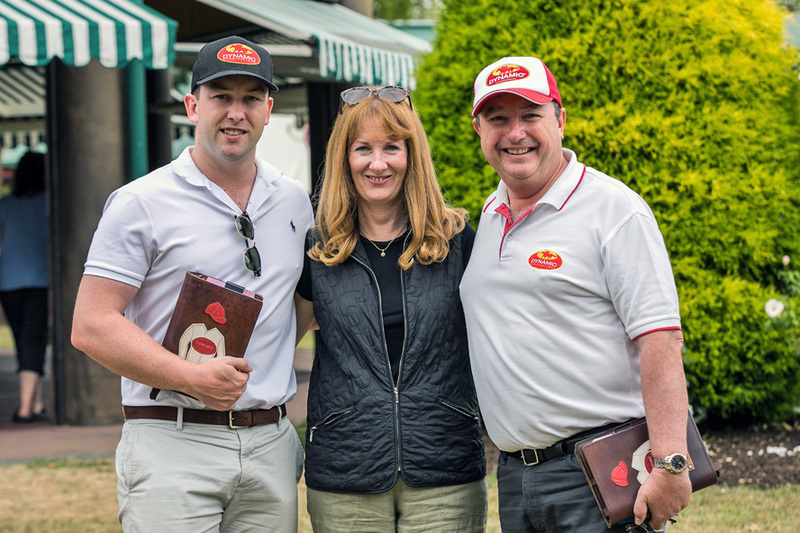 We were delighted that the breeder has such an opinion of their product that they buy equity back into their yearling to race in co-ownership with us. We don’t expect to see her racing as an early 2yo but being saved for the Autumn 2yo Races and then into the big races for 3yo fillies in the Spring. 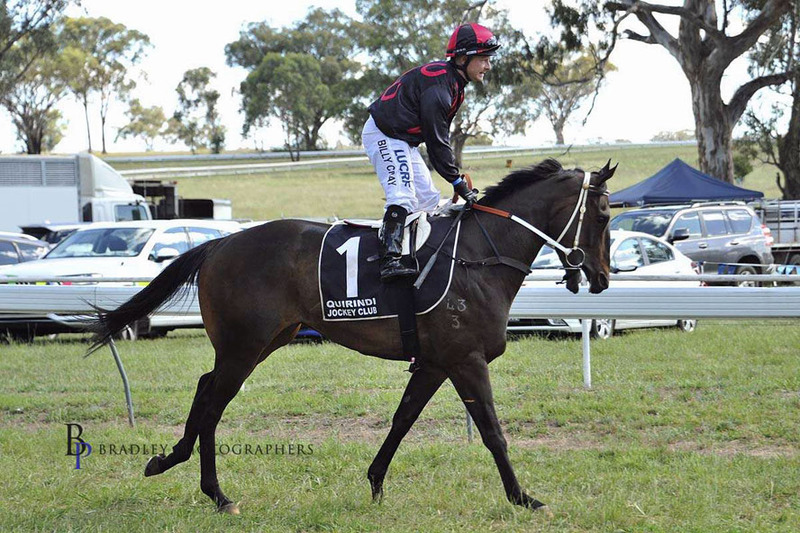 We anticipate she will show her owners ability between 1100m to 1600m and if she runs to her blood and conformation then she looks ideal. Being from a daughter of SCENIC (by SADLER'S WELLS) and vitally important, being by DEEP FIELD a son of NORTHERN METEOR who is a son of ENCOSTA DE LAGO , she is free of Danehill line blood. 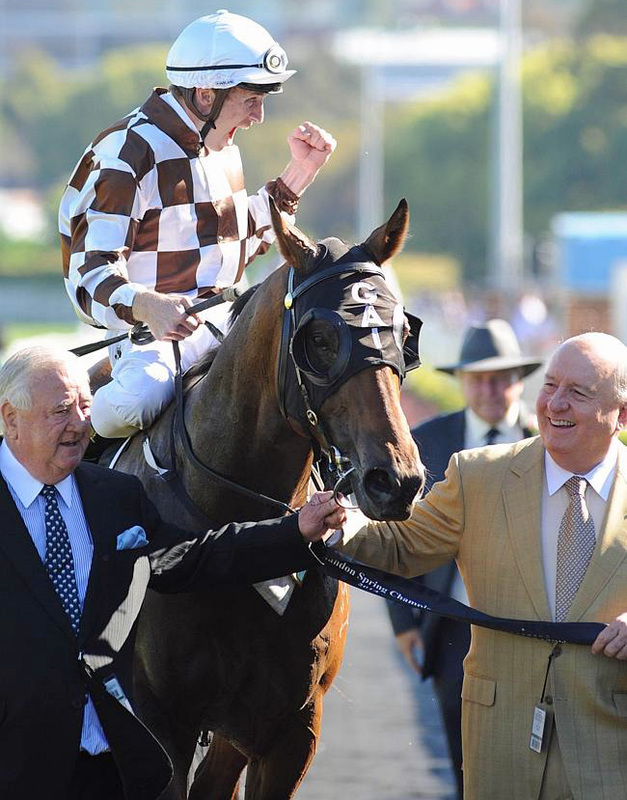 That opens up enormous possibilities as a Broodmare to be covered by any Danehill line sire as breeder’s desire, and should she be be a successful racehorse at elite black-type level she would be worth significant residual value upon racetrack retirement. 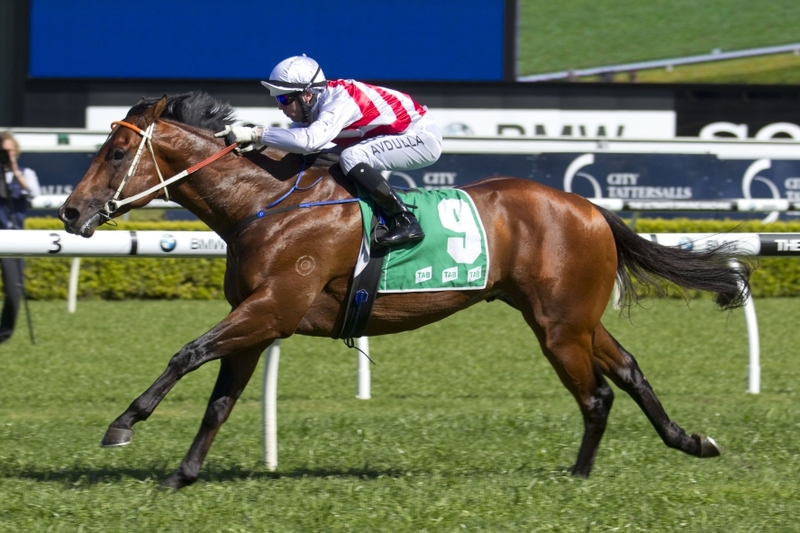 Also this has been rated a “A +” class mating with a BEST OF SALE RATING opportunity that this mating can produce an above average racehorse when compared to the total number of horses produced by the sire to date. You can't buy experience ! 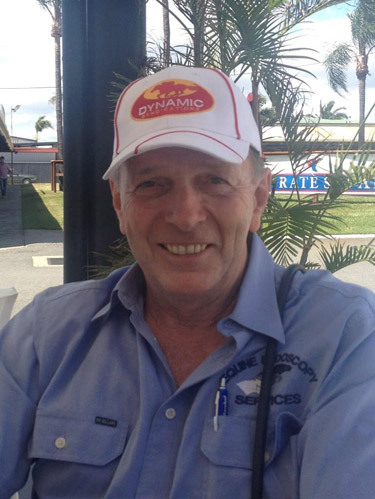 With over 30 years as a Bloodstock Consultant and Syndicator on his resume, Dynamic Syndications Managing Director has no peers in his industry that come close to matching resumes. 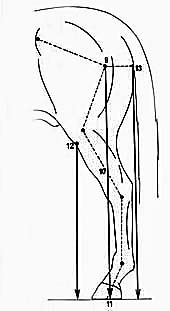 The following information was recorded about this yearling after several physical inspections at the Sales Complex. She was considered "ATHLETIC - WELL BALANCED, NEAT, 2YO TYPE" - and passed as a suitable candidate. This yearling represented our TOP OF THE SALE range. Also a post sale BLOOD TEST was performed and revealed no abnormal findings. Considering her outstanding conformation and the strength and depth of the female family and the pedigree genetics scoring A+ 754% this individual was secured at a price representing terrific value to the team at Dynamic. We had valued the filly at $120,000 (+ one bid $125,000). 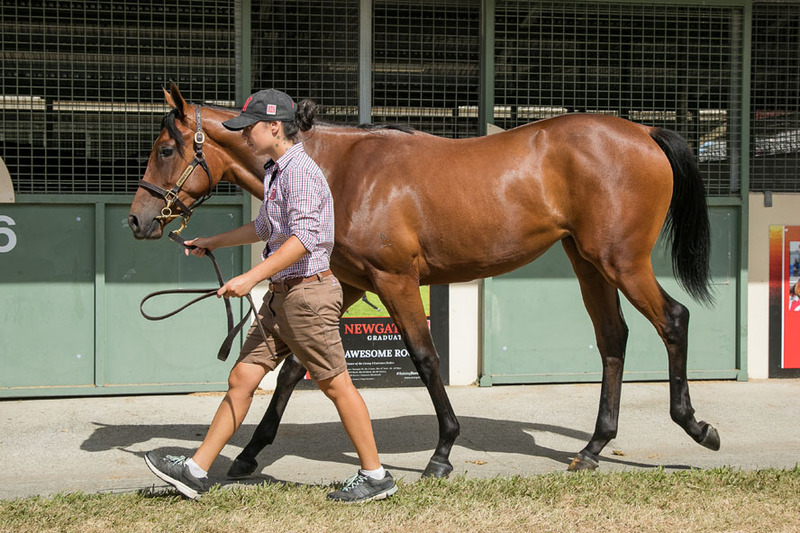 The secure the filly at $100,000 + GST that was a 16.66% ($20,000) discount to our market appraisal of the true commercial value and this represented exceptional value that we now pass onto our owners. 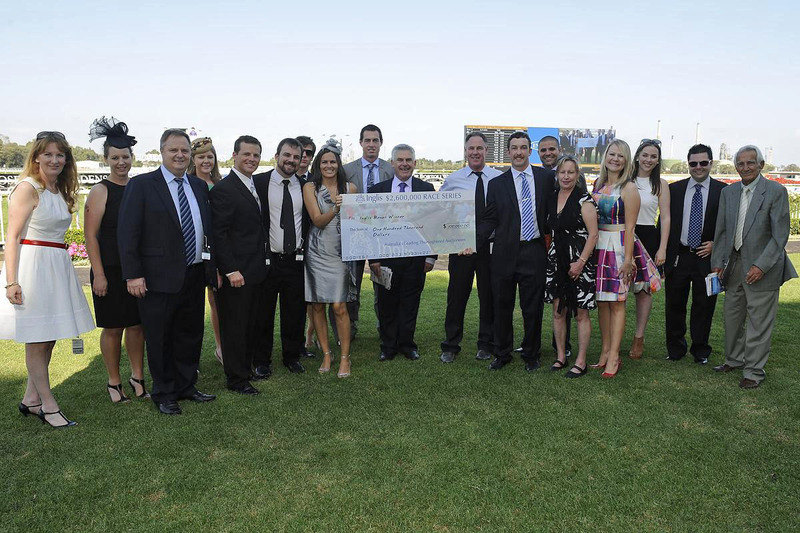 By working so closely together, this formed the basis for Dynamic Syndications foundation Runners : Winners Ratio of 82.5% which has continued to grow and as at January 2017 sits at 91.6%. 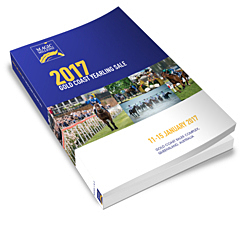 After the Date of Registration with the Racing Authority, owners pay their pro-rata portion of the accounts incurred, monthly in arrears.